So you may be thinking about taking out a logbook loan against the value of your vehicle. It is important that you use the money for what you intended it for. It’s natural for people to get a little carried away when they have large amounts of money paid into their accounts. They often think that spending a little bit here and there won’t hurt but before long, your bank balance is far lower than you expected and you actually don’t have enough money to pay for what the logbook loan was intended for. Logbook loans are the perfect way to get money in a hurry, especially to use for emergencies. Don’t waste the cash! When you do apply for a logbook loan, there are a few simple things you can do to make sure the process itself runs smoothly and that you can get the biggest loan possible based on your car value as well as your income and expenditure each month. 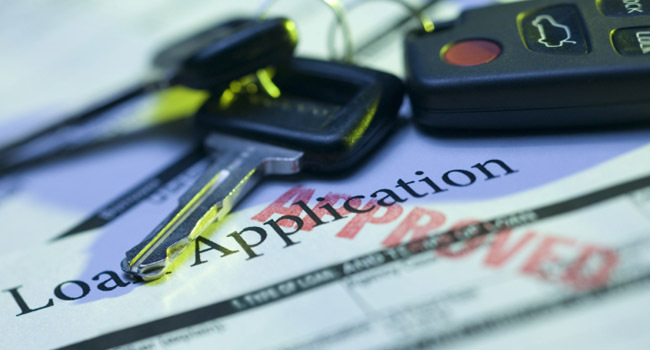 Let’s take a look at a few things you should consider before you apply for a logbook loan. The most important factor in any logbook loan amount paid out to you is the value of your car. Yes, your income and expenditure does play a part but the value of your vehicle plays the biggest part when a loan amount is determined. For this reason, it is important to make sure your vehicle is in good shape. When you apply for a logbook loan, you will be asked for the vehicles MOT certificate. Make sure this is up to date as if it is not, it could severely affect the amount you are offered loan wise. An up to date MOT certificate means the vehicle is probably in daily use and a good runner. More importantly, it has recently passed a number of stringent roadworthy tests as demanded by the Ministry of Transport. One that is a year or two old already gives the lender warning signs that something may be wrong with the vehicle, hence lower loan offers. Even if you have a slightly older car, it should always be serviced and repaired often and at a reputable mechanic. If you are unsure of the service intervals on a vehicle, simply contact the vehicle manufacturer, walk into a local showroom or ask a mechanic. They will be able to tell you in a flash. Servicing is not only about the internal parts either. Make sure you replace tires when need be, check and replace wipers before winter and have your air conditioner re-gassed when you need to. This all helps to keep your car in the best condition possible which will raise the amount you can qualify for with a logbook loan. All logbook loan providers will require a number of documents from you when you apply for the loan. One of the most important of these is the logbook or V5 document from your car. This will remain in the possession of the lender for the duration of the loan because they effectively own the car for that period, or until you pay the loan off. You will also need to provide bank statements, proof of payment, proof of address and your identity document when you apply. With a little pre-preparation, you can ensure that your application for your logbook loan not only runs smoothly but that thanks to the condition of your vehicle, you get the best loan possible.